Epilus is not a diagnosis! According to the definition of ‘nadziąślak’ (Latin. Epilus) refers to the most common benign soft tissue on the surface of the gums. This concept defines only the location of the tumor, however, it does not reflect his character. In practice, this means that any change in the oral cavity should be subjected to in-depth examination dental professionals, but most of all — histopathological. Cytology has a low diagnostic value in dentistry. Only on the basis of microscopic analysis of the tissue the doctor is able to distinguish whether the change actually has a mild, for example. 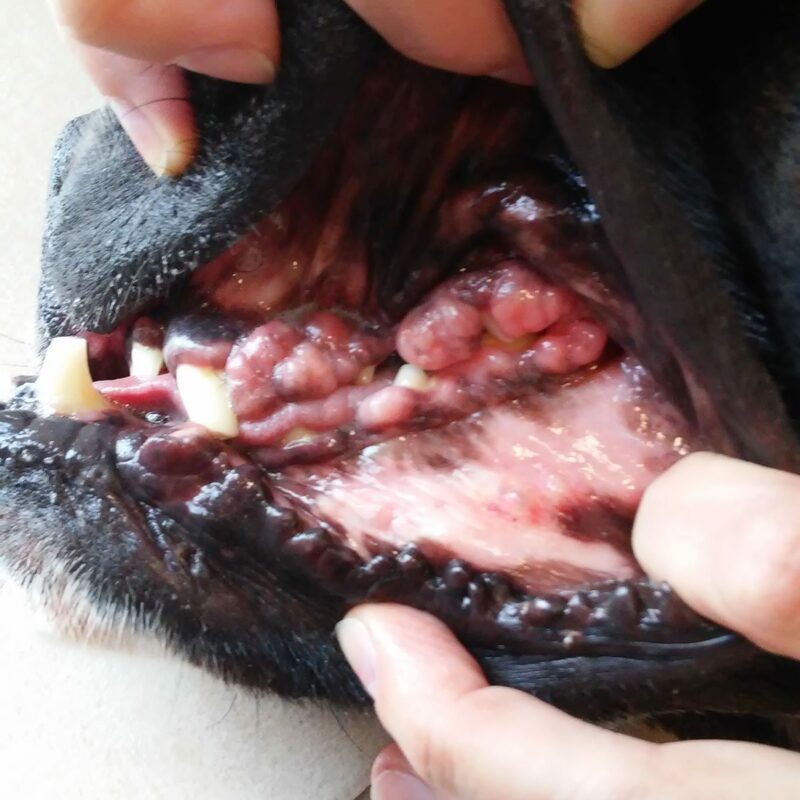 Inflamed gingival hyperplasia, or is it a malignant cancer or sarcoma. 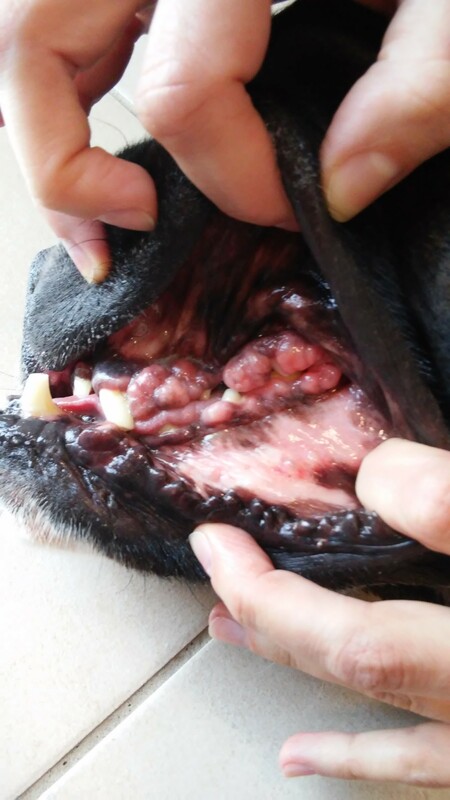 The differential diagnosis of dogs first be suspected malignant melanoma, which represents 30–40% of all malignant tumors of the oral cavity. Frequently it is noted in older males small size in the buccal mucosa. However, there is also at other individuals in other locations. Melanoma cells do not always have pigment — melanin. Therefore, both macroscopically and microscopically, the tumor does not have to be pigmented. Very often it gives metastases to lymph nodes and lungs. Depending on the stage and severity of the disease prognosis is usually prudent to failing. 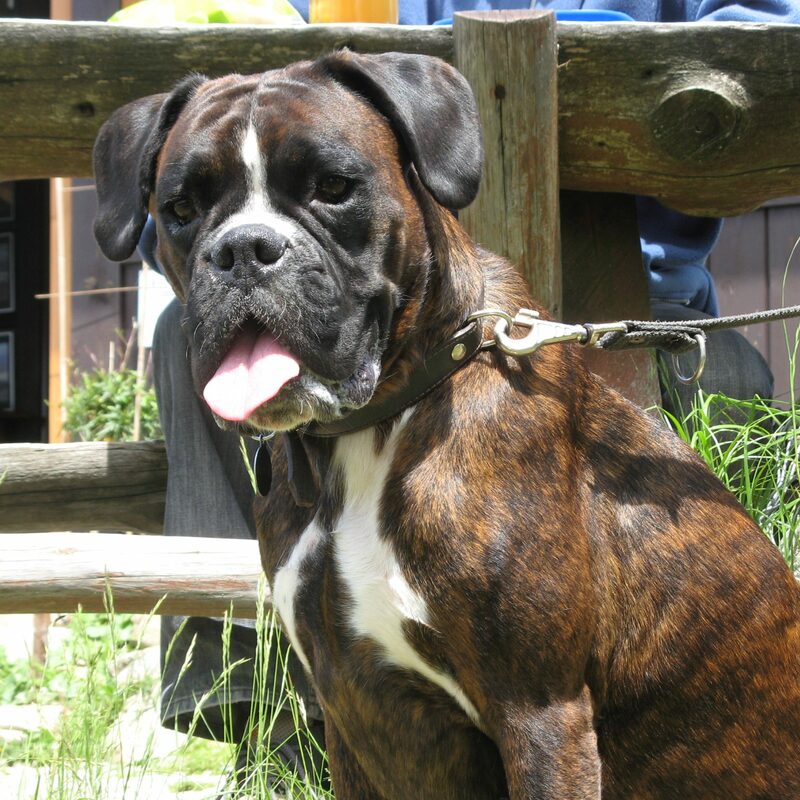 Subsequently in dogs can be suspected squamous cell carcinoma and fibrosarcoma. Benign proliferative inflammatory lesions are very rare in cats. Therefore, in this species should be primarily suspected squamous cell carcinoma or chronic inflammation of the gums of the mouth of cats. 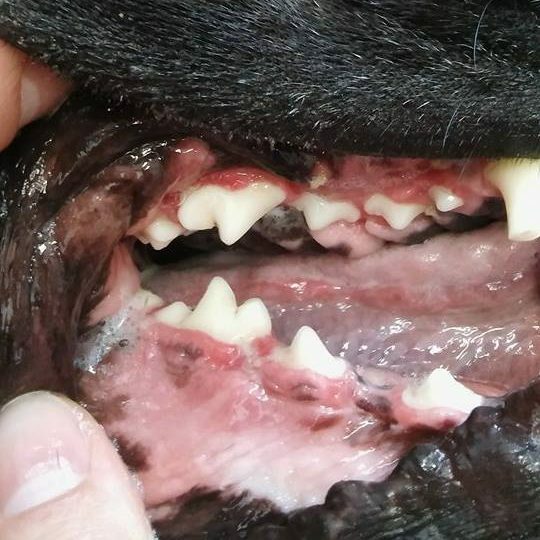 The first of 60–70% of all tumors in the oral cavity of cats. In the clinical study, change can look very inconspicuous, eg. As a lump or more pronounced gingivitis. Whereas X-rays usually highlight the changes in bone structure. Often found metastases in regional lymph nodes, rarely in the lungs. As with melanoma prognosis depending on the type of treatment is undertaken for the prudent unsuccessful.